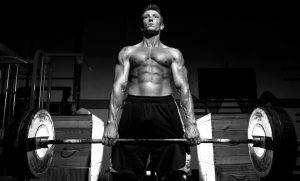 The deadlift is one of the basic exercises in the arsenal of any bodybuilder, both professional and beginner. It’s considered to be one of the top three basic exercises in bodybuilding. It builds muscles in 3/4 of the body, including the legs, abdomen, trapezius, shoulders and arms. Many beginners don’t perform this exercise due to its complexity. In gyms, you can see how people do the exercise with multiple mistakes, thus seeing no visible effect on the muscles or getting a serious back injury. Do not neglect the workout. To maximally prepare the body and get the maximum possible result, before starting the training, be sure to warm up. You must stretch and warm the muscles well. To do this, run a few minutes on the treadmill or do a short set of push-ups, lift light dumbbells to the biceps, but no more than ten repetitions. Wear a power belt. This exercise puts a tremendous load on the lumbar region, so it’s vital not to forget about the belt, especially for beginners who often perform the lift using the wrong technique. Use the end locks on the bar to make sure the weights don’t slip off. Don’t forget this. There there is a possibility that a heavy weight will fall on the foot. Use belts. This is not obligatory, since it is easier for some people to perform an exercise without them. But if you are a beginner, be sure to use lifter’s belt. Perform the lifts in front of the mirror and listen to the coach. It is better to perform any exercise when there is a mirror in front of you to see from the side how the exercise is performed and, if necessary, make adjustments. Use shoes with low soles. This is not a vital rule, but shoes like a sneaker will provide much better support than sneakers with a thick sole. Read about jumping with a rope. These three types will suffice for maximizing the load on the muscles. The periodic altering of performance techniques will not allow the body to get used to the loads, thus providing a constant challenge. Below, we will consider each execution type. 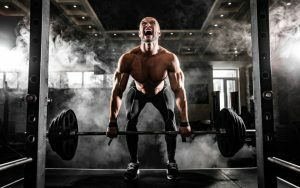 This technique of deadlift, despite its status as a “pioneer”, has not lost its relevance with time, and to this day remains the best exercise for creating an athletic build. 3/4 of the muscles of the whole body are worked, including the back, arms, shoulders and legs. Step 1: Stand directly above the bar, the heels go slightly further beyond the bar, and the bar is as close to the legs as possible. In this position, a maximum level of stability is created, which will you from collapsing either forward or backward when executed. Step 2: With feet shoulder-width, lower the bar keeping the back slightly arched and without bending the knees. It is at this stage that the greatest number of beginners have the main problems in the performance of the exercise. Many of them do not understand how to sink without bending their knees – to perform it, you need to take the pelvis back and smoothly lower it together with the body. 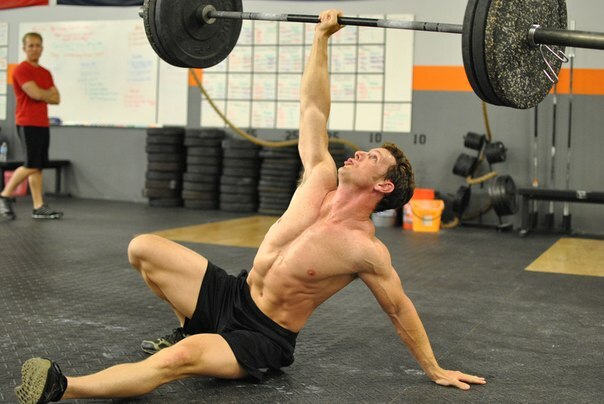 Step 3: Once in the lowest point, you need to take the bar with your hands so that they face the body. It is necessary to not use a monkey’s grip – this is when four fingers cover the neck from above. For beginners, it is not recommended to use a razor grip, in which the palms of the hands face different directions. This type of grip can be more reliable. But because of the asymmetrical load on the muscles, it can be very dangerous for the spine. Step 4: Hold our breath and pull the bar smoothly upwards. Turning to the upper point, you can slightly bring back the scapula, but in no case should the body tilt back. Step 5: Having reached the upper point, we linger for one second and go down to the lowest point in the same trajectory as we climbed. Step 6: It is necessary to lower the bar smoothly without any sharp impacts from the ground, as this can injure the muscles of the back and shoulders. Step 7: Pay attention to the moment when the neck passes the knees. Don’t lean forward, as it is easy to lose support. To avoid this, it is necessary to pull back the pelvis a little. Before you begin to perform with weights – you need to train with an empty bar. Only when the technique is perfectly worked out, you can add weights. The biggest mistake, which is also the result of many others – is to take too much weight. When overweight is difficult to follow the correct technique and very quickly you can injure your back. Raising from the floor should be done smoothly, and not sharply tearing it off the floor, as this can lead to stretching the muscles. You do not need to do the exercise until the muscles fail completely, you should stop at the stage when there will be forces for at least one more repetition. It is important to understand that a larger number of repetitions with a small weight is much more effective for muscle growth than a few repetitions with a heavy weight, but using the technique of cheating. 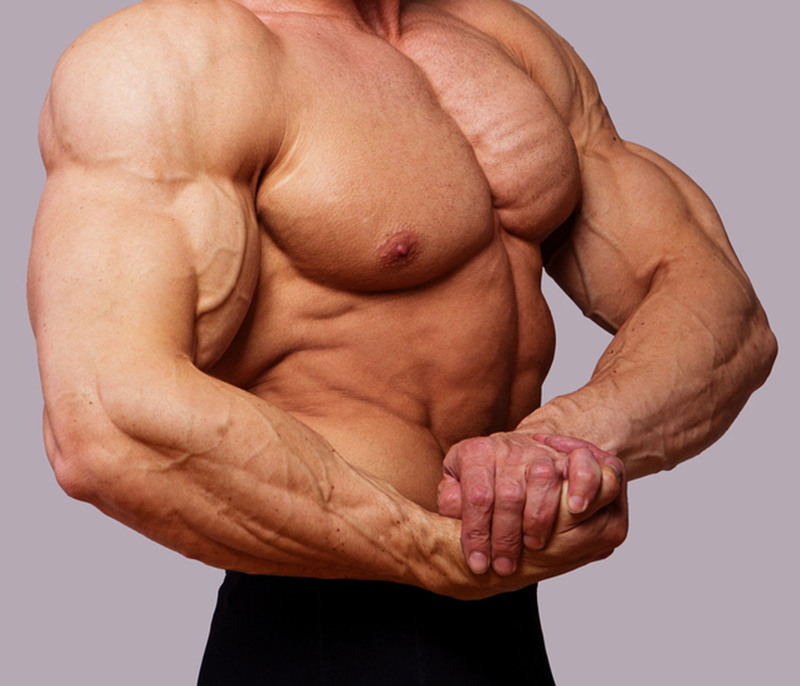 Do not strain the muscles of the biceps at runtime. Hands should remain in a static state and be completely relaxed at the elbows, so as not to injure the biceps muscles of the biceps. After the last repetition, do not throw the bar sharply on the floor, as this is fraught with back injuries due to a sharp relaxation of the muscles. Despite the fact that the deadlift develops muscles of almost the entire body and allows to develop a good musculature at the earliest possible time, it can be problematic and even dangerous to perform due to various injuries. If the legs are injured, it is possible to use inclines with a standing post to develop the extensors of the back. Each muscle can be worked separately. For a beginner athlete, it is recommended to use a hyperextension instead, which trains the lumbar muscle and subsequently makes it a much less time consuming task. To its origin this kind of lift owes to Asian sumo wrestlers who, for better support, use a rack with half-bent legs. It’s this kind of stand that powerlifters use to lift the largest weights. It will be preferable not only for professional athletes, but also for beginners in the gym. Also for this reason, the deadlift of sumo will be useful for people with low back injuries. But do not expect that from the removal of the load from the waist shell will be much easier, because the weight of the bar will be transmitted to the muscles of the legs and back. When performing the deadlift , the same muscle sections work as in the classic version. Small differences lie only in the fact that the load on the waist and extensors of the back decreases. The muscles of the legs and buttocks have a significantly higher weight. Put on a power belt, hang the required number of plates on the bar and approach it so that the bar touches the legs. Legs spread wider than shoulders and slightly point your toes outward. 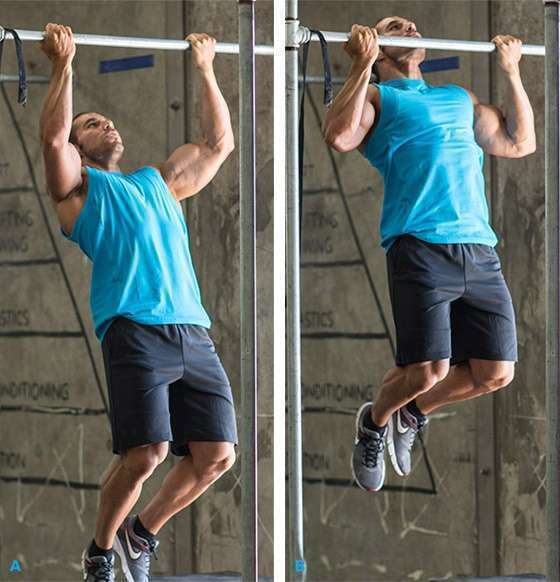 While bending your knees, keep your back straight, grasp the bar with a straight grip at shoulder level. To create more support, strain your hands and pull the pelvis slightly back. Simultaneously with lifting the weight, take a deep breath, perform the exercise smoothly and without sudden movements. At the highest point, straighten your back, wait a second and slowly lower the projectile while exhaling. When performing any kind of deadlift, the most common mistake is a rounded back, which can lead to injuries. Elbows cannot be bent. Let the biceps do the work. It is dangerous for the arm muscles. And, it reduces the effectiveness of the exercise. If it is not close enough to approach the rod, it is impossible to achieve a good support when carrying out the thrust. When carrying out the sumo lift, the muscles of the hips, buttocks, extensors of the back and trapezius have the greatest load. If necessary, to replace the exercise, use dumbbells and do calf raises and squats. Below is a comparison table for the classic deadlift and sumo. In this case, the most emphasis is placed on the leg muscles. This exercise should be used by those who want to maximally increase leg mass and strength. Such an exercise is most often performed in one day with all the muscles of the legs. Unlike the classic version, in this form the backbone is used at a minimum. For greater stability, it is necessary to wear shoes without a heel during the exercise, so that the whole leg will have uniform support. Approach the bar closely, so that it touches the lower leg. Keeping your back flat and keeping your legs straight, bend down to the bar and place the hands slightly wider than the shoulders. After taking off the bar, we start with a deep sigh, slowly dropping slightly, taking the pelvis back. Having reached the bottom point, you must immediately straighten. You cannot stop at either the bottom or the top point. The repetitions must be continuous, so that the muscles of your legs remain in constant tension. It is worthwhile to listen to your body during the exercise. It should be done slowly and constantly feel the work of the gluteal muscles. Bending of the knees during the exercise. Yes, it is recommended to do the exercise with straight legs. But many people are not able to do it because of anatomical features of the body structure or insufficiently stretched leg muscles. So, it is acceptable to slightly bend your knees at the minimum angle. Lifting is required to be done with the muscles of the legs, and not the back, that is, the feet should be flat on the floor. This aspect of the exercise should be learned first using an empty bar until the technique is honed. Since this type of lift puts the most emphasis on the legs, it can be replaced by the bench press and other leg training devices. The Romanian lift is less complex for muscle development than other types, so most often it acts as a substitute for most of the leg exercises. The exercise can also be performed with dumbbells, but the effect from it will be less. And, the muscles can develop disproportionately due to uneven load on the legs and back. Despite compliance with the rules of performing deadlift, beginning athletes may face many problems. Let’s consider some of them. The most frequent refusal to perform a deadlift is back pain. But is this correct? If you perform an exercise with the right technique and moderate weights, you will feel the lumbar muscles strengthen. This is extremely useful for people working in offices. But with the wrong technique, you can easily get serious injuries to the back. To ease the exercise and get rid of the pain, you cannot perform with a full load, and it is necessary to use a power belt. But if the pain in the joints does not stop, then you should stop performing this exercise before consulting a doctor. You need to do it no more often than once a week, especially considering the colossal load that it exerts on the lower back. If there is a desire to strongly strengthen the back, then it is better to lift twice a week. If the deadlift is improperly performed, it is very easy to injure the body. But if you first develop the right technique, then afterwards any athlete will be rewarded with significant muscle growth and improvement of strength. It’s not for nothing that it’s becoming a and is considered to be the most effective exercise in bodybuilding and powerlifting.